Grow it, cook it, eat it! From the vegetable patch to the dinner table Put off by the origin-unknown, not-so-fresh, pesticide-laden offerings at the grocery store? Hungry for delicious high-quality veg and fragrant herbs, and looking to have some control over where your food comes from but never planted a seed in your life? 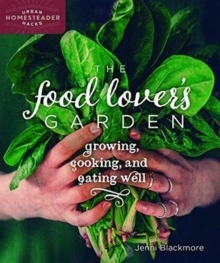 Foodie meets gardener in this deliciously accessible, easy-to-use guide to growing, cooking, and preserving twenty-some popular, easy-to-grow vegetables and herbs. Taking the budding gardener from planting, growing and harvesting, to preparation of delicious, nutritious, and affordable meals, this book is a celebration of food in all its stages. The Food Lover's Garden guides the reader through: * Getting started with easy step-by-step growing instructions from balcony to backyard * Simple, tasty recipes incorporating each vegetable and herb * Meal combinations of two or more of the featured dishes * Selecting essential kitchen tools and gadgets to maximize the harvest * Canning and pickling recipes to preserve the rest Beautifully illustrated with author's water colour sketches and photographs from her garden, this book is perfect for the foodie and budding gardener--from the humble potato, to pungent garlic, to the beauty of the beet, classic staples take a delicious turn with novel, innovative recipes. Truly food for all seasons and palates. Foodies, new gardeners, urban homesteaders, and supporters of sustainable living--take back your right to high-quality food with The Food Lover's Garden. 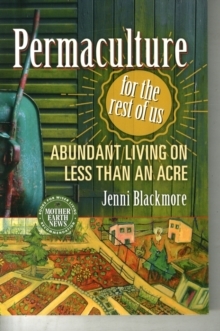 Jenni Blackmore is a writer, painter, micro-farmer, and certified Permaculture Design Consultant. 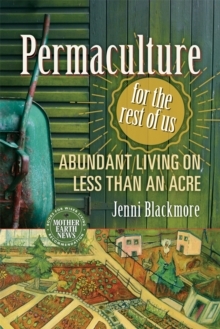 Her most recent book Permaculture for the Rest of Us follows her journey from industrial Manchester to Quackadoodle Farm, a sustainable homestead in Nova Scotia.